When I first came up with the concept of hosting a 5-day vegetarian challenge, it was right smack dab in the middle of the holidays when I was feeling very blah and found myself craving a change in my diet. I had never really thought about becoming vegetarian (especially because I really love seafood), but as I tossed the idea around in my head, and my energy continued to plummet, I figured it was worth a shot. Making that leap was easier said than done, especially when you lack willpower like me. You see, I’m great about getting on healthy kicks. I stick with them for a few days and then move back to my same old habits. Same goes for my vegetarian stint. Lasted for a few days but never stuck. But here’s the thing: those few days where I wasn’t eating animal proteins (aside from eggs), I felt awesome. My energy was up, my digestion was great and I was full of energy. How could I hold myself to this healthy habit and actually stick to it? Then it came to me: host a challenge! When we're all doing doing it together, we can hold each other accountable. And don't worry, this 5-day challenge isn’t meant to transform us all into vegetarians. Really it’s just about trying something new, giving up meat for just 5 short days, and seeing how we feel. During this challenge, we’ll be focusing on making beans from scratch. Why beans? Because beans are the perfect staple for any vegetarian pantry. 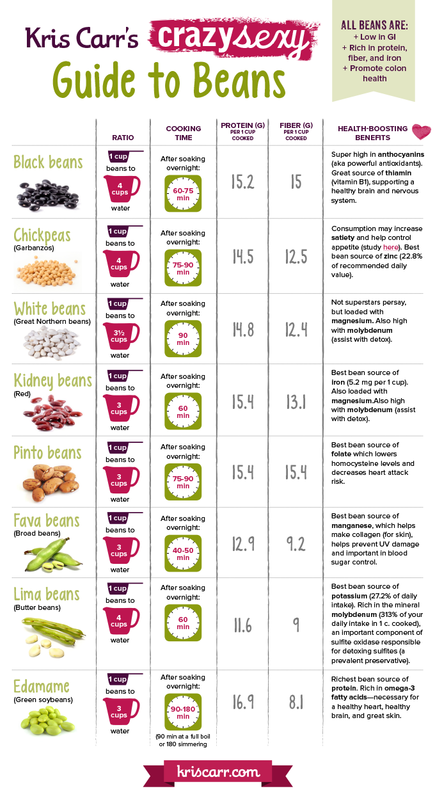 Even if you’re not vegetarian, I’d argue that beans should be a staple in any healthy cook’s pantry. Beans are loaded with protein and fiber and go well in almost any dish. They can be manipulated to blend with different flavors and textures, and the variety of beans that you can make is simply astounding. I did a little research and it turns out there are over 40,000 different kinds of beans! Holy smokes, isn’t that crazy!? Anyway, another thing I love about beans is that they’re super budget friendly, especially when you buy them in bulk. On average a pound of dried beans ranges anywhere from $1.50 – $3.00, whereas organic meat can range from $12.00 – $15.00 and sometimes even higher depending on what you’re buying. Then you compare beans with something like organic tofu or tempeh. A package, which contains 3 – 4 servings, costs $3.00 – $5.00. Again, for the amount of food that one pound of beans will make is much larger and more wallet-friendly than almost any other source of protein available on the market today. But here’s the thing that I’ve found, a lot of people are “scared” of making beans at home. They’re unsure of how to properly prepare them or just end up buying canned beans for convenience. I was totally one of those people as well until I realized that making your own beans is crazy easy! 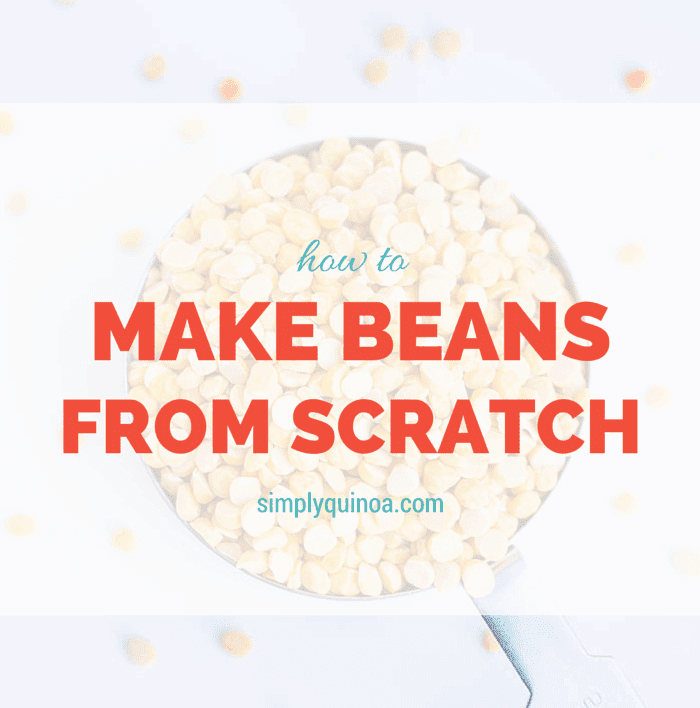 I’m just going to give you a quick snapshot of how to make your own beans from scratch. And when we’re done you’ll see there’s a link to a great guide that the wonderful Kris Carr that shows you the various timing for different beans. It’s always safe to give your beans a little rinse before their soak. You just want to wash off any dust or dirt particles that may be lingering around (after all they do come from the earth!) so there’s no grittiness or yuckiness when you go to cook them. Depending on the variety you’re using, you’ll want to soak your beans for at least 8 hours. 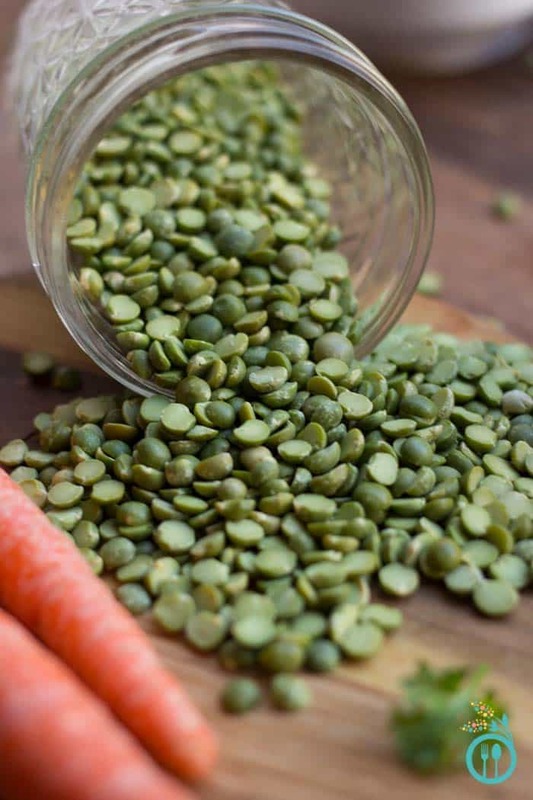 Most beans need soaking, but some varieties like lentils, split peas and chana dal don’t. For the varieties that do need to soak, I highly recommend that you add a ½” piece of kombu into the liquid. The kombu will help reduce the phytic acid in the beans which will help to ensure they don’t give you an upset tummy (or make you gassy). Plus soaking makes the cooking process faster too! Next step is to cook your beans. You just add your beans to the pot with some cold water, bring the water to a boil then reduce to simmer. Cooking times vary, so check out Kris’s graphic which explains it nicely. Your beans are done with they’re tender, but the skins are still in tact. Then just drain them of their liquid and use them however you’d like! See how easy that is? Making beans from scratch is such a great option for those of us who are exploring the vegetarian lifestyle (even if just for 5 days!). And now let’s talk about the challenge! Over the course of the next five days, I challenge you, well ALL of us (including me) to give up meat for 5 days. I’m hosting this challenge with my wonderful friends at Bob’s Red Mill who have practically every single type of bean you can imagine. They’re even going to giveaway a huge prize pack, so make sure to enter below! I’m really looking forward to starting the challenge with all of you. Make sure to check in on each post along the way – let us know how you’re doing, how you’re feeling, etc. – and use the hashtag #SQchallenge for any posts you share on social media. I’ll be checking in throughout the week so you can see how I’m doing too. This post was sponsored by the awesome folks over at Bob’s Red Mill. Thanks for supporting the companies and brands that promote the healthy, sustainable lifestyle that I believe in and share on SQ! I like cooking my beans by soaking and then throwing them in my rice cooker for one cycle (with a bay leaf) the next day!